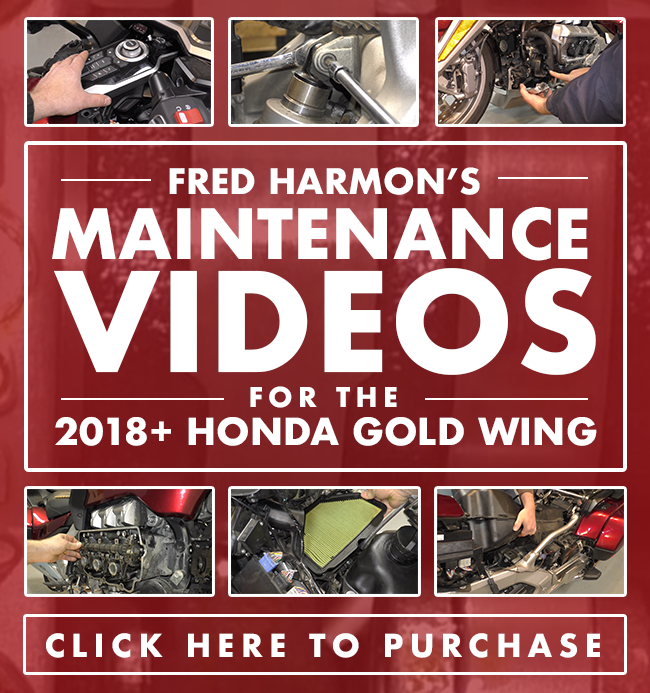 For years, Fred has provided in depth videos designed to help Gold Wing riders perform service on their bikes. Now for the new model Gold Wing, Fred has released over 30 videos detailing everything from Programming a New Key Fob to the DCT Clutch Initialization. They're only available digitally to stream or download. No physical DVDs. Click the image below to learn more and purchase.